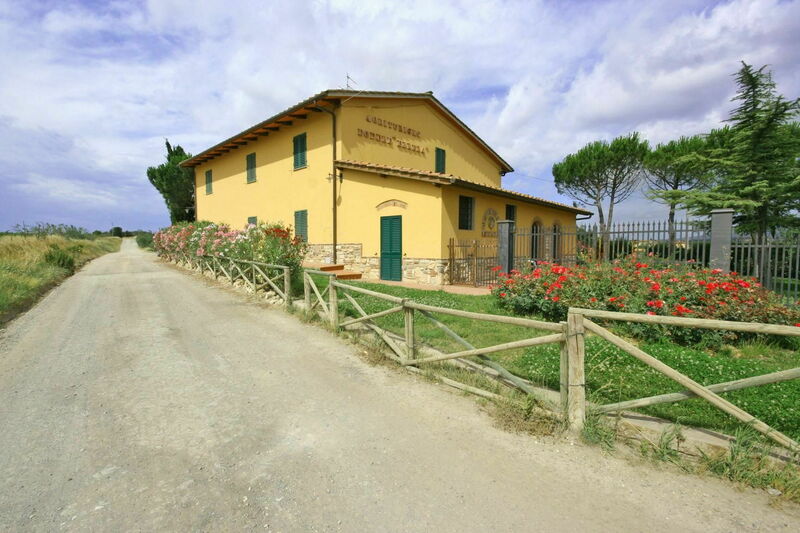 Nice farm set in the green hills of the Tuscan countryside at few kilometers from Florence with a panoramic view. The property has been carefully renovated keeping intact its original architectonic characteristics and turned into 4 nice apartments, comfortable furnished in typical Tuscan style. Distances: Lastra a Signa with all kind of shops at 5 km, Florence at 15 km, Pisa at 45 km, San Gimignano at 45 km, Siena at 55 km. At guests disposal: fenced and fully equipped garden, shared, above ground swimming pool (9 x 4 m – max. depth. 1,30 m – open from 01/05 to 31/10), barbecue. Parking within the grounds. Possibility of wonderful walks and horse riding near the property. The access to the property is via an unpaved but well maintained road. Apartments Spicchiello 1 and 2 have mosquito nets. Extra services: maid service upon request at € 10,- / per hour (to be paid locally). Upon request baby bed available at € 20,- / per week (to be paid locally). 35 m2. Ground floor: living room (TV) with double sofa bed, dining area and kitchen corner (freezer), bathroom with shower, double bedroom.